from Motzaei Shabbat, April 27 through Friday morning, May 3. Sunday through Thursday from 8:30am-11:30am, 1:00pm-5:00pm, and 7:00pm-10:00pm. May the Eisenman family be comforted among the mourners of Tzion v'Yerushalayim. We regret to inform you of the passing of our Affiliate member, Fran Flug, beloved wife of Reuben Koolyk and beloved mother of Rebecca, Aaron, Miriam, and Jeremy. The funeral will take place tomorrow Wednesday, April 17th at approximately 12:00pm at Eretz HaChaim Cemetery outside Beit Shemesh, Israel. Reuben may be reached in Israel on his cell phone at 201-966-9515 or 011-972-2-566-2301. May the Flug and Koolyk families be comforted among the mourners of Tzion and Yerushalayim. at Sharon Memorial Park, 40 Dedham St., in Sharon, MA. Lydia and Andrew Chesnick, 854 Newton St., Brookline, MA. Hannah and Steven Meyer, 154 Woodchester St., Newton, MA. Jon can be reached at 201-312-7527 or 201-657-3403. May the Greenberg family be comforted among the mourners of Tzion v'Yerushalayim. Eileen will begin shiva in Cleveland. May the Raab family be comforted among the mourners of Tzion v'Yerushalayim. Eileen will begin sitting shiva in Cleveland. to continue shiva from Thursday morning until Friday, Erev Pesach, at 1:00pm. To offer chessed, please contact Debbie Golubtchik at (201) 207-3082.
through Wednesday morning, March 27. The family requests no visitors between 4:00pm and 6:55pm on Sunday, Monday and Tuesday. May the Weiss family be comforted among the mourners of Tzion v'Yerushalayim. from Tuesday morning, March 12 through Friday afternoon. To offer chessed, please contact Nechama Becker at 845-323-5132. May the Prince and Rothstein families be comforted among the mourners of Tzion v'Yerushalayim. Chessed contact information and additional shiva details will follow. beloved brother of our member, Shaindy Brothman. The funeral will take place tomorrow, Thursday, March 7th at 11:45am at the Young Israel of West Hempstead, 630 Hempstead Avenue, West Hempstead NY. The burial will take place at King Solomon Memorial Park, 550 Dwasline Road, Clifton, NJ. Shiva will be observed at the Kahn residence, 256 Elm Street, West Hempstead NY. To send a condolence card through Nerot, please contact Carrie Cooper at candscooper@gmail.com. 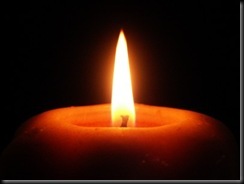 May the Brothman and Kahn families be comforted among the mourners of Tzion v’Yerushalayim.